Consulting Fees & Rates: How Much Should I Charge? Setting your fees and rates can be confusing for both beginning and veteran consultants alike. How do you value yourself properly? How do you calculate what you should be charging? How do you get the most out of your time? In this article, we will look at the important factors to consider when setting consulting fees, cover the most effective methods for setting your consulting rates, examine the average consulting fees in popular industries, and help you determine exactly what rate is right for your consulting business. There’s a very simple and misunderstood truth about pricing in the free market. We are conditioned to believe that price equals value. We think that goods and services have some inherent value to them which their price attempts to capture. That’s simply not the case, particularly when it comes to pricing a professional service. The truth is that price is nothing more than a number accepted by two parties. If you ask for $1,000 per hour and find someone willing to pay that, your service is “worth” $1,000 per hour. If you ask for $10 per hour and find someone willing to pay that, your service is “worth” $10 per hour. 1. What amount am I willing to accept for my time? 2. What amount are people willing to pay me for my time? This might seem simple at first glance, but both factors immediately raise some interesting and complex questions. For starters, how much money are you willing to accept? That’s actually a really tough question for many people to answer. And it’s not as simple as understanding what level of pay you are willing to accept today. What about after you find out your colleague is making more? What about after you finish a project that didn’t feel like it was worth the hassle? The level of pay you find satisfactory has as much to do with your psychological state as anything else, which serves to complicate things. But nevermind your own psychological complications. Imagine trying to guess the expectations and psychological states of all the leads and clients you interact with! What do they expect to pay? At what price are you leaving money on the table? At what price will you exceed their budget and lose the sale? Fortunately, there is a third factor we can take into account that will actually serve to make sense of the first to factors, and that factor is “the market rate”. 3. What range of pay has the market set? “The market rate” is the average price and range of pricing a typical customer will pay for your type of consulting service. If the average business consultant charges and receives $100 per hour, than the “market rate” is likely between $50 to $150 per hour. As that example hopefully demonstrated, market rate is not an exact science. Different people within an industry will perceive the market rate to be higher or lower based on their personal experience. Furthermore, the market rate isn’t a floor or ceiling for you in setting your own rates. It is simply a tool to help you predict customer expectations and feel more secure in whatever you choose to charge. Instead of guessing, you have something more stable to go off. The market rate helps you identify pricing that will work for both you and your clients. It will also help you identify what to charge based on your own level of experience. If you feel you have significantly more experience and expertise than the average consultant in your niche, you might choose to charge double or triple the market rate. Or alternatively, if you are just getting started, you might underbid the market rate in order to more easily secure your first clients. Now that we’ve broken down the three factors to consider when setting your consulting fees and rates, let’s look at the four most effective methods for collecting pay. While there are numerous ways to decide what to charge, the following six methods are the most effective in our opinion. You will find that some of these methods work better when you are in the initial stages of launching your consulting business, while others will be advantageous once your business is established. As we just discussed, choosing the right method really comes down to you, your clients, and the market. You want to make sure you are being compensated fairly without veering too far outside client expectations. Let’s take a look at the pros, cons, and methodology behind each method. 60% of all jobs today are paid hourly. Both you and your clients have probably worked an hourly job before, and it makes for a solid, simple, straightforward pricing method even in the consulting world. The tricky part is setting your rate. How do you know what to charge? The first step in calculating your consulting hourly rate is to get an idea of what you were making hourly at your most recent job. To do this, take your most recent salary, divide that number by 50 weeks (weeks in a year minus two vacation weeks) and divide that number by 40 (average work hours/per week). So for example, if you were making $70,000 per year, you would divide that by 50 to get $1,400 per week and then divide that by 40 to get $35 per hour. This gives you a contextual hourly rate, but it’s NOT what you will charge to clients. What you should actually charge is closer to THREE TIMES what you were making while employed. Yes, that's’ right. If you were making $35 per hour as an employee, you should probably be charging around $100 per hour as a consultant. You have to cover your own healthcare and other benefits. You are responsible for lead generation and administration costs. You didn’t take on the risk of being a consultant just to make the same wage. These are all really important things to consider. You have significantly higher costs to cover as an independent consultant and you aren’t doing all this work just to make the same money you did as an employee. They don’t have to pay for healthcare, other benefits, or employment taxes. They don’t have to absorb the costs and risks of a full time employee. They need your expertise and most other options will cost a lot more than you do. These are just a few of the reasons the gig market has exploded over the last decade. When you work as an employee, the company is profiting off of you a lot more than they are paying you. By removing the middleman, your clients can pay you a lot more than you were earning while still saving quite a bit of money in the process. Of course, we still have to factor in market rate. If the average consultant in your field is charging between $60 - $80 per hour, charging $100 might be a bit more challenging, but you can probably still pull it off with the right value proposition and social proof. While charging by hour is probably the most flexible pricing method available, it does have one glaring downside: the faster and more efficient you become at your work, the less you get paid. This is notably problematic when most of your projects are very similar to each other. For example, let’s say a big part of your business consulting engagement is setting up a website for you clients. You start off charging $100 per hour, and with the first few clients, it takes you around 30 hours to get everything setup and running, resulting in an invoice of $3,000. The next few clients, on the other hand, only end up requiring around 25 hours as you have become better and more efficient at setting up websites, and as a result, you only end up billing them for $2,500. Fast forward ten clients and all of a sudden, you are only needing 15 hours and billing half of what you originally charged to setup a website. That doesn’t make any sense. Nobody wants to earn less for doing the same amount of work! And while you could increase your hourly rate, asking for $200 per hour is going to sound a lot more expensive to the client than asking for $100 per hour. With this method, your client knows exactly what they are getting, and you can actually increase your effective hourly rate by getting better and faster at delivering your service! When charging by project, try to calculate your time in stages. It may take you an hour to analyze and research your topic. Then it may take you two hours to review your client’s project goals or interview transcripts. Maybe the first draft of work takes you five hours, and a predict a few hours worth of edits. From here, you are going to want to allow some time for anything extra that may arise and then calculate your rough estimate against your hourly rate. (Estimated Hours of Work + 20% for contingencies) x Hourly Rate = Project Charge. Let’s take our previous hypothetical hourly wage of $100 and an estimated time of 10 hours for an example. Remember, charging by project is best used when most of your projects tend to look similar to each other and you are improving or getting faster over time. In an ideal world, every consultant would be paid based on the Return on Investment (ROI) their work generates. In reality, however, ROI-based pay is usually just a tool for scamming new and lower-end consultants and service providers. In short, the businesses that tend to generate a significant ROI from consulting services are usually not going to be interested in offering ROI-based pay. From a consultant’s perspective, ROI-based pay seems like a no-brainer for their clients. Who wouldn’t want a contract where they only have to pay if they get results? In reality, most successful businesses have a good idea of where they need to improve and how profitable it will be for the business once that area is improved. They also understand how large their own role will be in any solutions proposed by a consultant. Because of this, it makes more sense for them to shop around and pay a fixed fee rather than attempting to pay based on performance. For example, let’s say a business knows that if they can can solve their product fulfillment problems, it will result in a revenue increase of $75k to $125k. What makes more sense for this business? Should they find a fulfillment consultant who will work for nothing upfront but charge 20% of increased revenue? Or should they find someone who will work with them for a fixed fee of $10k ? If they have $10k to spend and can find a proven consultant they trust to deliver results, this option is far superior. The company can’t find an experienced consultant they trust. The company finds an experienced consultant asking for a very low percentage. The company can’t afford to pay for an experienced consultant. The company doesn’t know what it needs in order to improve or how valuable those improvements will be for the business. The first two scenarios sound real but don’t actually exist. Successful businesses know exactly who the proven players in their industry are (or can find out quickly), and those players are virtually never going to undercharge for their services. This leaves us with the latter two options. Either the company can’t afford to pay or they don’t have a handle on their business... aka they probably aren’t very successful. Neither of these options make for good consulting clients... and that’s why ROI-based pay typically isn’t practical for independent consultants. You already have a successful history with the client. The ROI provided will be relatively easy to track and verify. You are very confident in the client fully participating in your solution. You are fully confident in the client delivering ROI-based pay in a timely fashion. The client’s core business success does not depend on the success of your project. Even with these highly favorable pieces in place, you are still at risk of not being paid your dues in the end. Ultimately, performance based payment is the method with the highest possible risk and return, so if adding additional volatility to your business is something you are willing to do, it does have the potential to pay off very well in the end. As a company devoted to helping consultants build highly profitable businesses, we are constantly analyzing our students’ results and looking for winning strategies. And one of those winning strategies is the initial fee + monthly retainer payment method. This payment method is strikingly effective for new consultants and it’s been so effective for our students over the years that it is now the ONLY method we teach in our consulting training. This method works exactly like it sounds. You pitch the client on a two-part payment plan. The first part is a one-time initial charge that covers all the unique costs that come with starting a consulting engagement. The second part is an ongoing monthly fee that covers ongoing consulting work. Why does this particular strategy work so well? With the Initial Fee + Monthly Retainer method, you can use a small initial fee to make it easier to grab those first few clients, and still get a solid overall payment through the ongoing monthly plan. A similar concept can be leveraged even by experienced consultants. One of the challenges of sales is that you want to close as big a contact as possible without overshooting and losing the sale altogether. With the Initial Fee + Monthly Retainer method, instead of pitching a “$70k fee” for the year, you can instead pitch “$10k + $5k per month”, which feels a lot more manageable to most clients while resulting in the exact same payout for you. Second, this payment method requires you to create a consulting package that includes an ongoing monthly service. That might sound limiting, and it absolutely is, but just like the payment method itself, we’ve found that consultants who structure their business offer in this way are the most likely to succeed. If you are only selling one-off projects, no matter how successful you are this month, you will be back to square one next month. You could close $20k in sales in your first month, and it would have very little impact on your success in Month #2. You would need to go out and close another $20k in sales to hit the same income level. With ongoing services, your income stacks with each additional client and allows for a lot more security and peace of mind as a business owner. You don’t have to guess where all your income will come from each month. And while of course it’s possible to consistently close clients and do quite well with the one-off model, we’ve simply found that the Initial Fee + Monthly Retainer model works better for the largest percentage of new consultants. It’s essentially the best of all worlds. Now that we’ve covered the four best methods for setting your consulting fees, let’s take a quick look at what consultants are charging on average across five of the most popular independent consulting industries. Restaurant consulting is one of the more common categories of independent consulting. In fact, hiring a consultant to help with the launch of a restaurant has become standard practice in an industry known for its unusually high failure rates. In other words, demand is very high. The requirement for becoming a business consultant is fairly straightforward: you need to have successfully launched at least one restaurant, and the more you’ve launched, the higher you can charge. With over 660,000 active restaurants in the US alone, this means supply is high as well. Hourly pay ranges from $30$ to $100. Daily pay ranges from $300 to $1,000. Project pay ranges from $500 to $5000. While not as ubiquitous as restaurant consultants, the broader category of small business business consultants are a well-known and well-integrated part of the small business landscape. Small business consultants are hired for a wide variety of reasons, but the most common tends to be sales. Business owners tend to be a lot better at running their business than growing their business, and as a result, they need help from outside growth experts. Since small business consulting is a massive category, the fees will range wildly as a result. For our data, we turned to a survey of over 25,000 consultants administered by Consulting Success. Project fees are the most common payment method used at 34.2%. 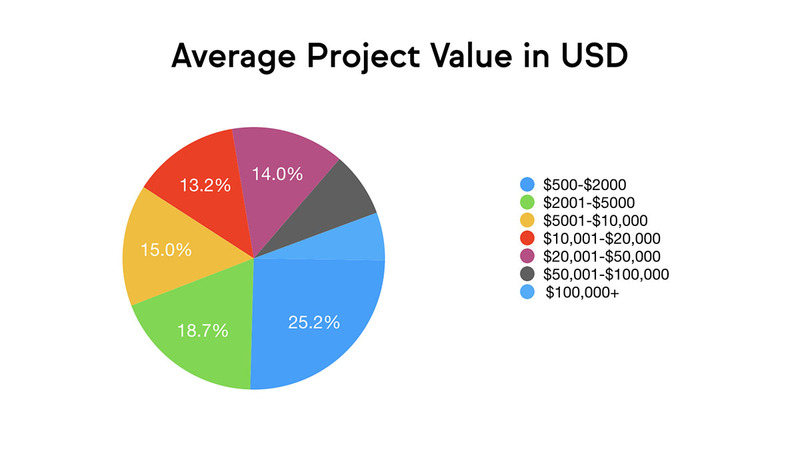 Nearly half of consultants charge less than $5,000 per project while just over half charge more. As we just mentioned, business growth is often the prevailing motivation behind small business consulting hires, which makes marketing consulting a high-demand job description. Marketing consultants can help businesses in a variety of ways, from advising on the best marketing channel to pursue to fully running their marketing for them, although the latter tends to cross over into more of a marketing agency. Fees range wildly in the marketing world and are closely tied with experience and measurable past success. A new consultant might charge $50 per hour to build a marketing funnel for a small business, while a veteran consultant charges $10,000 to build a similar funnel for a larger corporation. From what we’ve seen working with our students, marketing fees tend to range between $25 to $300 per hour, with $100 per hour being the average marketing consultant fee. If you’ve never run a business, the field of human resources (HR) might not seem that important. But as any successful business owner will tell you, hiring, retaining, and managing the right talent is nearly as important to a business as making their customers happy. As most employees will tell you, business owners are often not very good at managing and motivating their workforce... or building a good management system that does that for them. This is where HR consultants come in. A good HR consultant can have a massive impact on the employment and management infrastructure of a business. This is a highly specialized field and as a result, comes with larger than average fees. ProMatcher.com estimates an average HR consulting fee of $142.38 per hour with a range of $96.19 - $188.57. Taxes are unavoidable and tax law is insanely complicated, particularly in the US, where you are required to deal with local, state, and federal taxes all at once. Tax consultants typically specialize in one or more specific areas of tax law. They might be experts in a certain state’s corporate tax laws for example, or they might be experts in navigating federal taxes in a certain industry. They might even specialize in navigating tax laws during a single type of business event. “Tax consulting” can also be used interchangeably with “tax preparer”. These types of tax consultants earn an average fee of $273 to prepare a tax return. For the more specialized tax consultants we talked about previously, average fees will be north of $200 per hour. Now that we’ve taken a thorough look at consulting fees and rates, it’s time to decide what you will charge your clients. Pricing is just a number accepted by two parties. Determine what you are personally willing to accept. Get to know your industry and clients. Identify the market pay range. Once you’ve factored this all in, it’s time to picks your rates and see what happens. Just like anything in business, setting consulting fees is an educated guess. You are free to adjust upwards if you are getting more demand than you can handle or downwards if you are struggling to generate any demand at all. 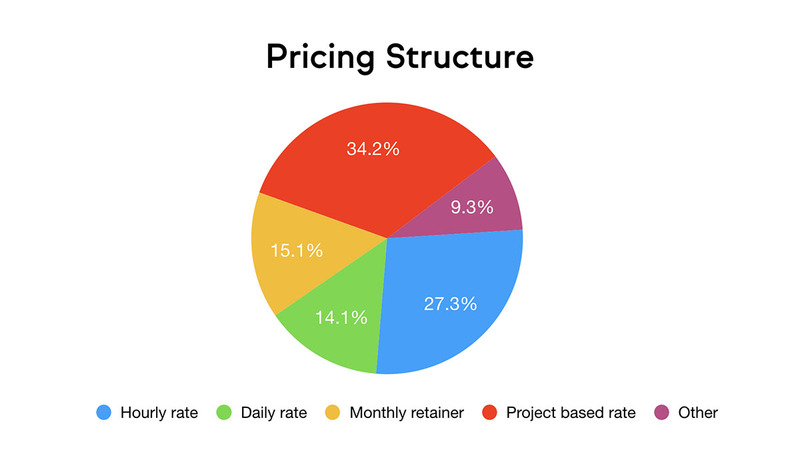 That said, pricing is just one factor in bringing in clients. If you’d like to learn more about how to generate new clients automatically month after month, click below to join more than 40,000 students who have gone through our free training!